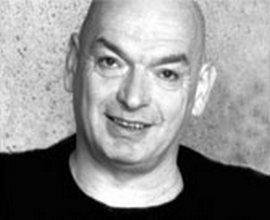 Jean Nouvel has won many prizes including the French National Architecture Prize, (1987), the Aga Khan Prize (for his work on the Arab World Institute in Paris ) and the Gold Medal of the Academy of Architecture . He is an honorary member of the American Institute of Architects and of the Royal Institute of British Architects and Commander in the Order of Arts and Letters (France). Highlights of his work include the Colonia Mediapark building, the Cultural and Congress Centre in Lucerne, the Foundation Cognac-Jay in Rueil-Malmaison, the Nantes Law Courts, the Cartier Foundation in Paris, the Commercial Centre in Lille, state-subsidised apartments in Bezons, the Nemausus housing complex in Nimes and the Arab World Institute in Paris and Agbar Tower.